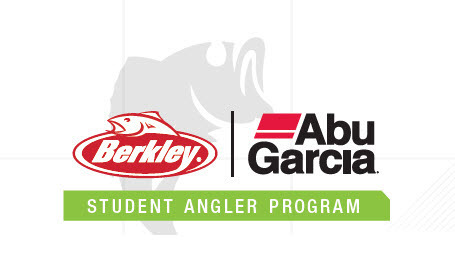 PRODUCT DISCOUNTS – Participating teams will be placed on a discount program to receive special pricing on the purchase of Abu Garcia and Berkley products for student angler use only. DISCOUNTED TEAM JERSEYS – An affordable, discounted price on team jerseys! We’ve partnered with two jersey vendors to offer various designs and styles. Prices will vary slightly based on vendor, design, and style. TEAM FUNDRAISING – Put your sales skills to the test by selling a variety of fishing products from our fundraising catalog. Teams will receive 30% of total sales to help support the club. 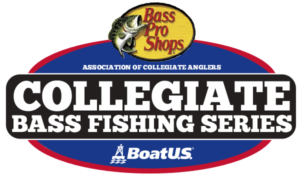 BASS IQ ACCESS – All registered teams will have access to BASS IQ, a “go to” resource for college anglers and coaches. The site offers information on how to start a fishing program, tournament trails, college information, scholarship and award opportunities, career help, tips/tricks, industry news and more. 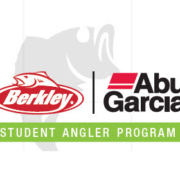 PRO ANGLER MENTORSHIP – The first 100 teams to sign up will be given the opportunity to be mentored by on of the Berkley or Abu Garcia pro anglers. Visit www.berkley-fishing.com/BAGSAP to download the signup form. COLLEGE – all college teams must sign up using a valid “.edu” emails address. The team captain and/or coach should submit one enrollment form for the entire team. Once submitted please allow up to (7) seven days for processing. Once processed, teams will receive a welcome emails and more information on how to receive their product discount and place orders, order discounted jerseys, fundraising packets, and more. For questions regarding the program please contact BAGSAP@newellco.com.